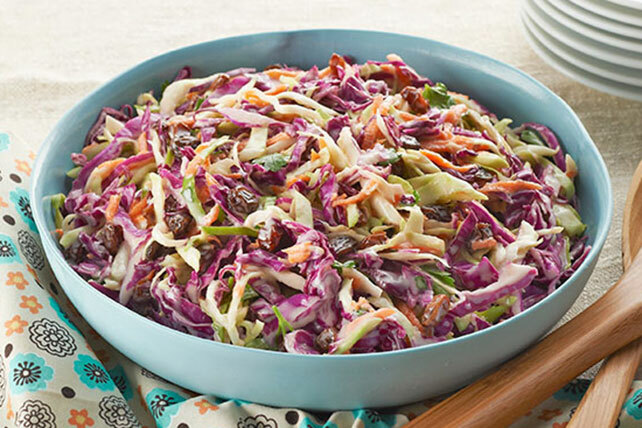 Add color and flavor to the potluck table with KRAFT Red and Green Coleslaw! This KRAFT Red and Green Coleslaw features apple jelly and raisins. Mix dressing and jelly until blended. Substitute 8 cups coleslaw blend (cabbage slaw mix) for the shredded cabbages.